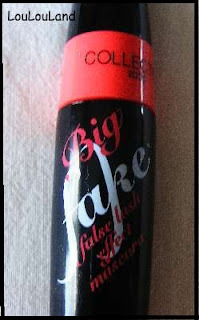 I have to say my previous experience with a Collection 2000 mascara wasn't a great one, I didn't get on with Collagen Curl at all, but this one Big Fake False Lash Effect makes big promises and claims so me being me I was drawn in and had to try it. The colour I chose was of course No. 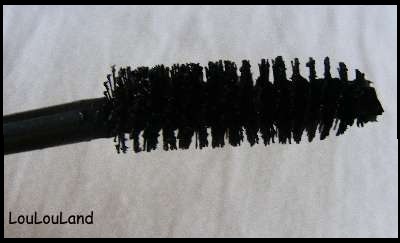 17 Ultra Black and it's a good quality black , but how does it perform when its applied to your peepers? 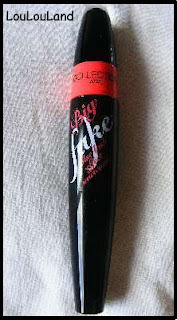 According to Collection 2000 this mascara uses an exclusive 3D tube technology that wraps around your lashes creating a false lash effect without clumping or smudging - well what do you think ? Well they certainly look better don't they - 2 coats here and my lashes certainly look longer and spidery, but what is that I spy, look closely and there tiny little clumpy, dots :( it definitely needs a comb through if you use more than one coat. To be fair this is a mascara I would say in the last month of it's life but still the little bits are there, and I've found it increasingly drying. Another slight criticism of this mascara is the fact that is smudges really badly - I haven't included any pictures here I don't want to scare you but after the last couple of weeks of uses especially it has been panda eye central not an attractive look.